Learn how to use advertising to build a magnetic brand that attracts customers, establishes a following, and generates revenue. When you hear the word “advertising,” what comes to mind? Do you think of banner ads on your favorite website? Super Bowl commercials? How about billboards along the highway or posters in the subway stations? While most of us have a pretty good idea of what advertising looks like, it’s a little harder to nail down exactly what it means — and how to do it well. From the printing press to pop-up ads, advertising has certainly changed with the times. There’s no doubt about it. Despite this, though, the need for advertising hasn’t changed, and neither have the techniques and best practices that make for quality advertising. That’s what we’ll cover in this guide. Advertising is a simple concept but can look like many different things. Below, we’ll cover how to advertise on these mediums. Marketing is the big picture of how a company plans to raise awareness of their brand and convince customers to make a purchase, while advertising is the process of creating the persuasive messages around these broad goals. Advertising is a subset of marketing, which is the umbrella term for communicating with your audience. In short, advertising is just one part of marketing. A company’s overarching marketing strategy will typically include an advertising plan. The advertising zooms in on the specific process of creating and publishing the persuasive messages to get customers to take action. Advertising is one of the oldest segments of business, save for currency and trade. Once products and services arose, so did the need to make them known. The oldest confirmed piece of advertising dates back to 3,000 B.C. Technically, it was a print ad from ancient Egypt promoting the capture and return of an escaped slave. Incidentally, the ad also mentioned the slave owner’s shop — a rug business — which inherently advertised his storefront, too. The slave was never caught, but the rug owner did discover a brand new method of bringing in traffic: advertising. 1472: The first poster advertisement is placed on church doors in London. 1704: The Boston News-Letter prompts its readers to place ads in its paper. 1870: The Powers style of ad copy is born. This style packed a punch — it was short, to-the-point, truthful, and convincing. Powers said the focus should be on why the consumer should buy your product or service — a message that still resonates for good reason today. 1880: Postcards become one of the hottest new ways to reach customers. 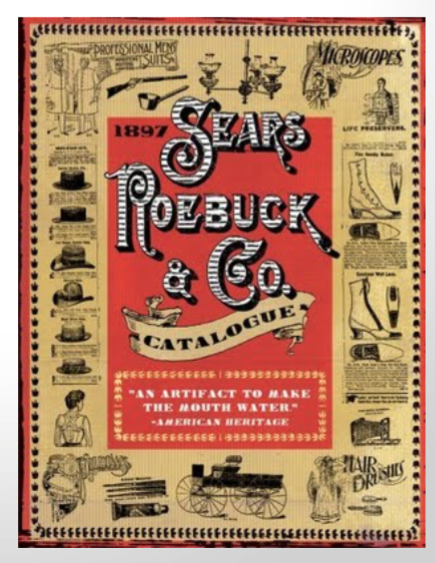 1893: Retailer Sears, Roebuck, & Co. joins the mail-order bandwagon by issuing their own catalog. 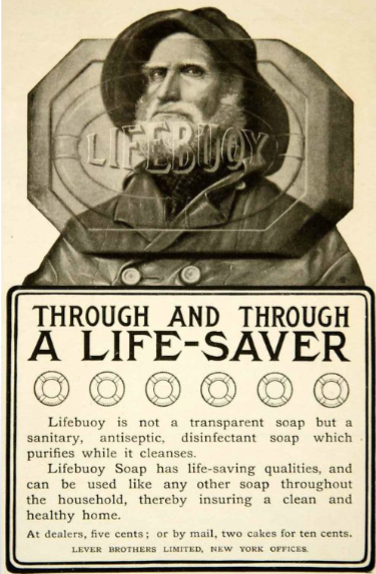 1902: Unilever creates the “longest client-agency relationship in advertising history” when it hires J. Walter Thompson Company to advertise its Lifebuoy Soap. 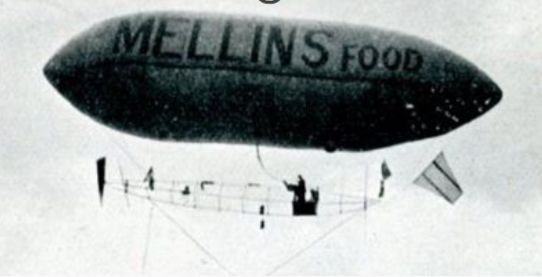 1902: Mellins Food advertises its brand on 25 airship flights, becoming the first brand to take this approach. 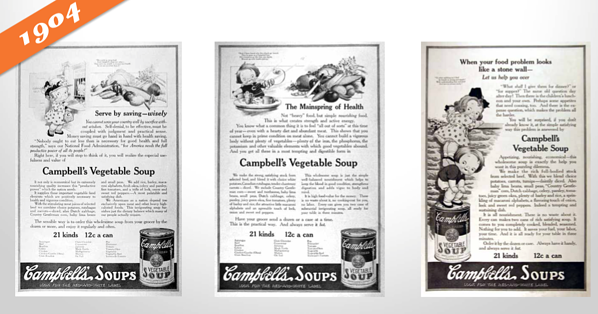 1904: The Campbell’s Kids are created, piloting the change in advertisement focus from a single ad to an entire campaign. 1925: Advertisers start to appeal to emotions, focusing on what pleasure customers would receive from their product or service. 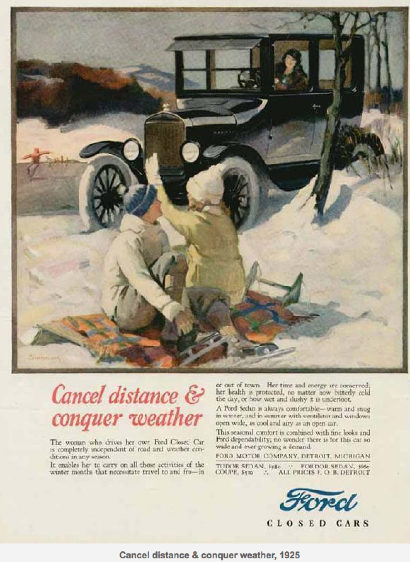 This old Ford ad exemplifies this perfectly. 1975: VCRs are introduced, and consumers begin to record shows and, therefore, skip advertisements. 1990: Computers become more popular and accessible at home, with over 5 million homes connected to the internet. 1994: The first email spam campaign launches. Banner ads are also introduced. 1995: Search engines like Yahoo! and Alta Vista are born. Ask Jeeves and Google would follow in 1997 and 1998, respectively. 2005: YouTube and Facebook (for college students only) launch. 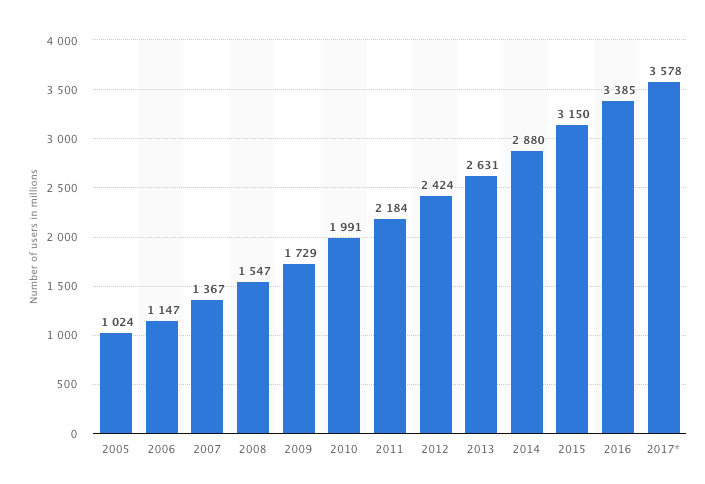 2008: Brands start to realize the importance of having an online presence for their potential customers. Procter and Gamble pilot the concept of the content hub with BeingGirl.com. 2012: Online videos reach 169.3 million viewers. 2013: Sites like Pinterest and Instagram join the social network scene. History teaches us that advertising is an ever-changing concept, just like shopping habits and how and where consumers spend their time. Whereas almost 140 years ago, postcards were the newest form of advertising, brands today are building chatbots for Facebook Messenger and integrating artificial intelligence into their marketing and sales platforms. Things in the advertising world move fast. As of today, there are almost 4 billion people using the internet. This number is up 300% from 2005. Point being, internet usage is skyrocketing, and it’s not stopping. If you’re not advertising online, you’re behind the curve, my friend. Not only does the internet offer you direct access to more than half the global population — including more than half of your target audience — but it also provides so many different channels on which to advertise. Marketers now have the flexibility to reach their target audiences on multiple fronts, in multiple ways, for multiple budgets. Whether Google, Yahoo, or Bing, all search engines have their own paid advertising. This is referred to as pay-per-click, or PPC, and involves bidding on keywords and placing ads at the top or sides of search results. When someone performs a query using one of those search engines, advertisers have the ability to display ads above organic search results. That’s what makes PPC so powerful — it gives your advertisements prime real estate in front of people already searching for relevant topics. The top four listings in the red box are advertisements. The lower portion, in the blue box, are organic search results that come up as a result of search engine optimization. For more information on PPC, read our guide here. 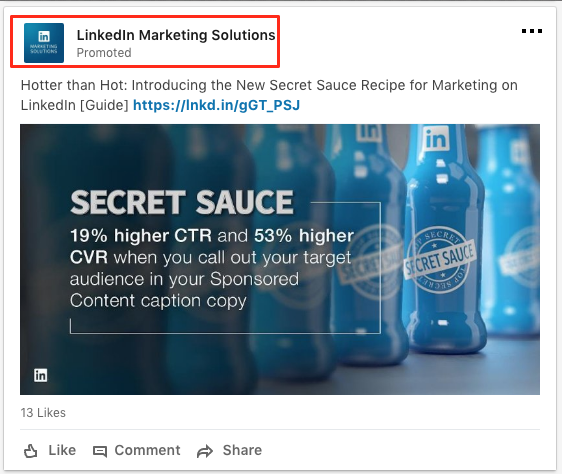 Social media platforms know how valuable their content is, and that’s why they offer the option to sponsor or boost posts. Social ads put your message in front of your target audience and encourages them to engage, click-through, and buy. More and more, social media sites are prioritizing ad space over organic content because, well, it brings in more revenue. If you’re a budding business or new brand, consider running some social media advertisements. These will not only advertise your products and services but also promote your social media pages and grow your following. 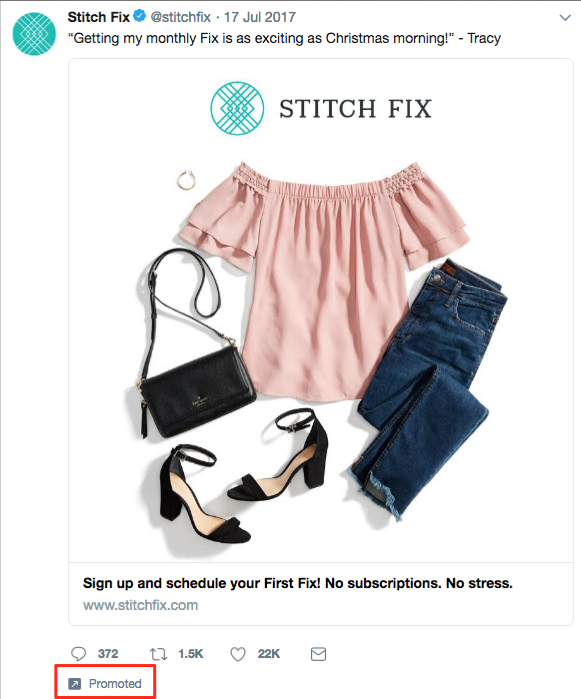 Platforms like Facebook, Instagram, LinkedIn, and Twitter each have their own version of ads like these. For more information on social media advertising, visit our guide here. Sponsored content has been around since 1922, when brands would sponsor entire radio shows. Today, sponsored content refers more to native ads and blog or article content subsidized by brands. Have you ever read a Buzzfeed article that heavily referenced or recommended a certain product or service? It was likely sponsored by a certain brand. Check out this article, 10 Reasons To Put Away Your Phone On Your Next Trip, promoted by agoda, a hotel or destination booking site. Does it blatantly promote agoda’s services? No. It’s primary purpose is to entertain and inform, although agoda is referenced a few times throughout the content. At the top, the byline reflects agoda’s sponsorship, just before the content starts. And, as you scroll down the page, another ad sits within the content. Sponsored content is a great way to promote your brand in content your audience is already familiar with. 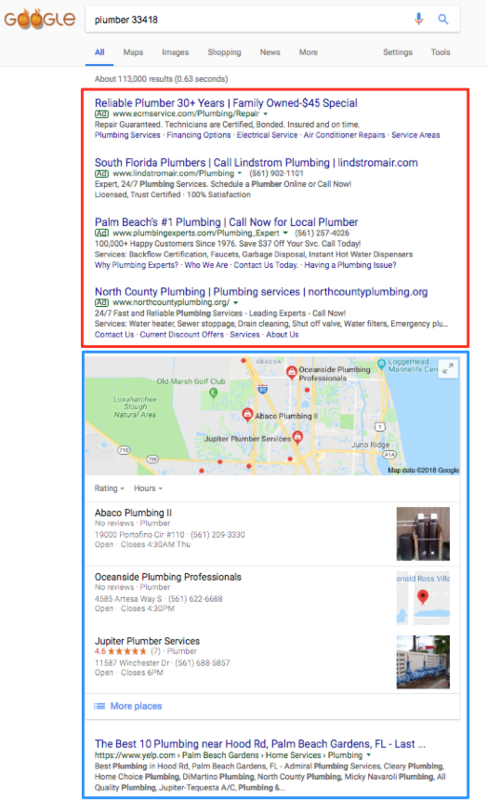 Banner and display ads are an extension of search ads and follow a similar PPC model. 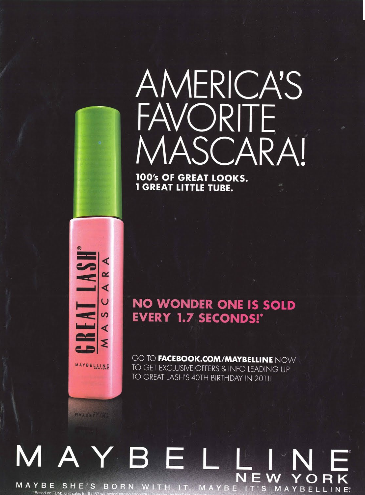 But instead of a text-based ad, consumers see a more visual advertisement. 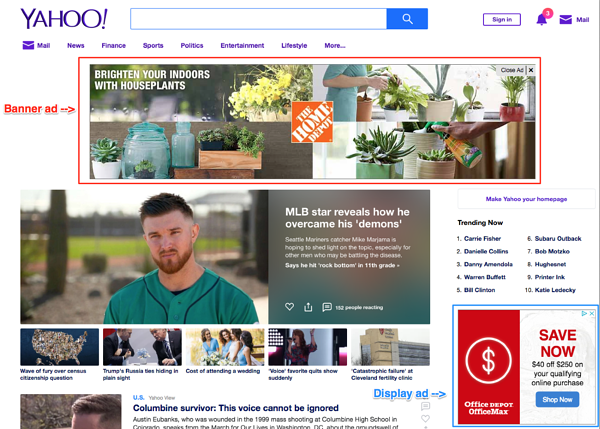 Banner ads are typically the horizontal boxes on top of a web page, whereas display ads are smaller in nature and shown on the side (like in the screenshot above). For more information on creating banner ads, check out our guide here. 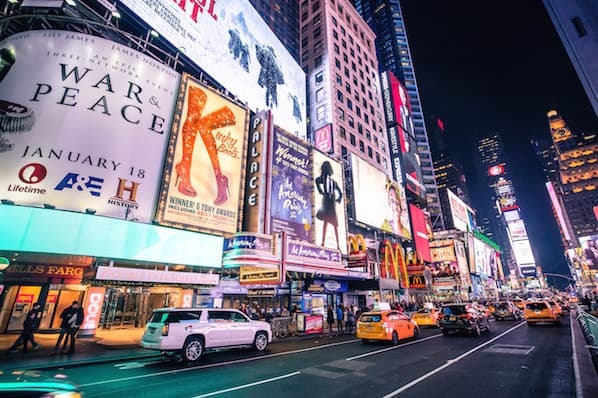 Whether you opt for traditional print ads in magazines or subway stations or choose online promotion on social media or search engines, there are a few rules that make for great advertising. Below are some advertising best practices to apply to all your ads. There are a lot of best practices, tips, and tricks when it comes to advertising. It’s an art that’s been perfected over the years, and with the rise of modern advertising and new media, best practices continue to manifest. In this section, though, we’re going to cover five famous advertising concepts that still work today — regardless of what advertising method or medium you’re using. 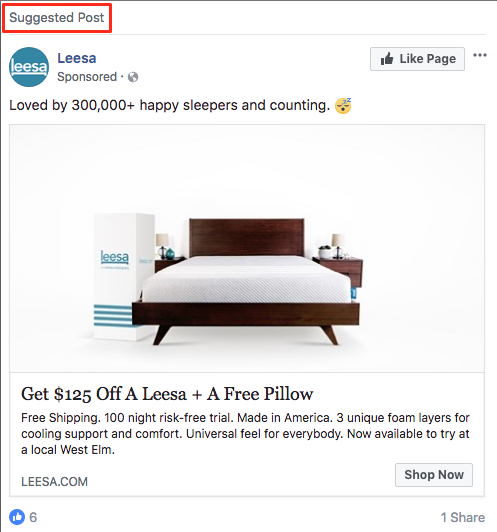 When used correctly, these advertising techniques will do wonders for your brand and products. While you may not consider the ASPCA a business, their unforgettable Sarah McLachlan commercial is the perfect example of using emotional appeal to entice people to take action. For most of us, the images in that commercial are hard to watch — we may even turn away. But since it tugs at our heartstrings, we’re more likely to donate to animals in need after seeing the horrors they’re going through. Studies show that people rely on emotions, rather than information, to make brand decisions. Emotional responses to ads influence a person’s intent to buy more than the actual ad content. Whether you try to evoke happiness, sadness, fear, or anger, appealing to emotions can help your target audience feel your message — not simply read or hear it. When consumers associate your product with a feeling of happiness, state of achievement, or accomplished goal, they’re more likely to take notice, remember your product or service, and make a purchase. Actually, you’ve probably been on the receiving end of this before without even realizing it. Have you ever seen your favorite celebrity or Instagram influencer posing with a product or brand and found that you wanted to be, do, or look the same? Companies create this subconscious connection in advertising hoping that you associate your positive feelings with the product or service they’re promoting. Catchy songs like “Nationwide is on your side" is an example of helping people associate friendliness with the Nationwide brand. 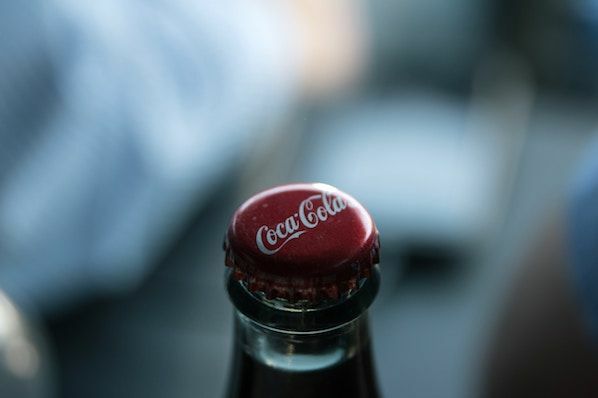 Coca-Cola has a brand advertising campaign that associates their product with friends, family, and fun. When you consider what refreshments to serve at a party or bring on a picnic, Coca-Cola wants you to think of them. As you create your advertisements, consider what feelings, desires, or goals with which you want your brand to be associated. Weave these feelings or goals into your advertisements through stories or videos. Look for influencers who align with your brand’s core values and demeanor and include them to promote positive association. People want to fit in. It’s human nature. Neither you nor I are immune to it. And it’s this base human desire that makes the bandwagon effect so effective. People don’t want to be left out. They find value in their peers’ opinions, and they certainly don’t want to be the only ones not using the latest and greatest product. Use customer testimonials, survey data, or shareable content to advertise your brand as one worth following or buying into. Take another approach by promoting a discount for sharing your brand with a friend or family member — so your audience will do the selling for you. Either way, use your advertising to create an inclusive environment people will want to join. Features and benefits are two very different things. Features are the details of the product or service you’re selling, such as the measurements of a couch or the ingredients of a protein bar. Benefits, on the other hand, explain why a person should buy a couch or protein bar from you and how their life would, well, benefit from such a purchase. Advertising should focus on the benefit your product or service brings, not explain what you’re physically selling. Consider how Southwest Airlines advertises. 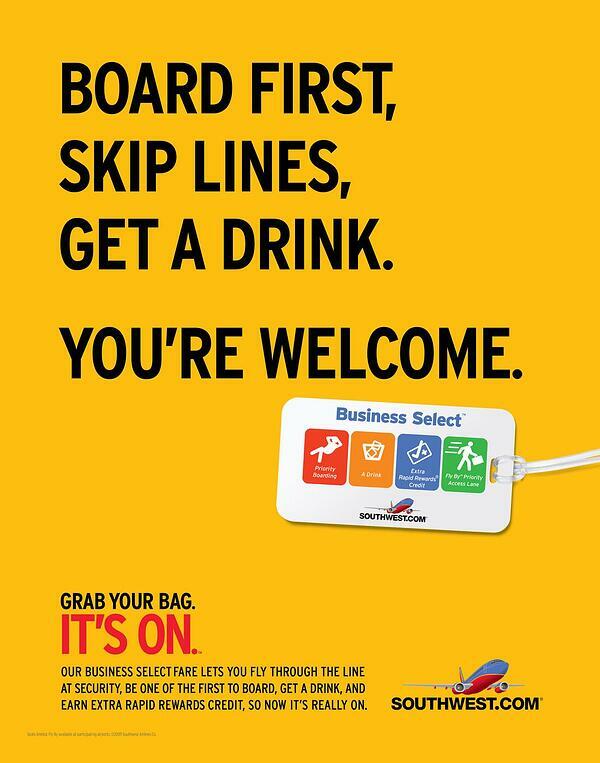 Instead of explaining, line by line, what a Business Select ticket offers, Southwest paints a picture of what life would be like if you made a purchase. In this advertisement, they focus on the benefits. Rather than wasting precious ad space on your product specifications or service details, talk about the ways a purchase might positively impact your customers. If you do it right, your creative, benefit-packed advertisement would then inspire them to research the features on their own. Not unlike our desire to fit in is our penchant for a good story. Storytelling helps paint a bigger picture of a brand or company, not simply promote a single product or service. Also, when stories resonate with someone, it’s far easier to motivate him or her to take action. Storytelling is the one technique you should try to infuse in all your advertising. In fact, if you haven’t started crafting your brand’s overall story, you should definitely do so. Research shows that stories that illustrate a brand as “necessary, believable, and integral” are the most effective for engaging and influencing consumers. Dove employs storytelling in its campaign partnership with Operation Homefront. The videos feature real stories of military men and their families being reunited. The advertisements don’t directly promote Dove products but instead tell the Dove brand story (and pull on a few heartstrings, too). Determining your brand story will help you learn how to best discuss your brand in all marketing efforts, not just advertising. 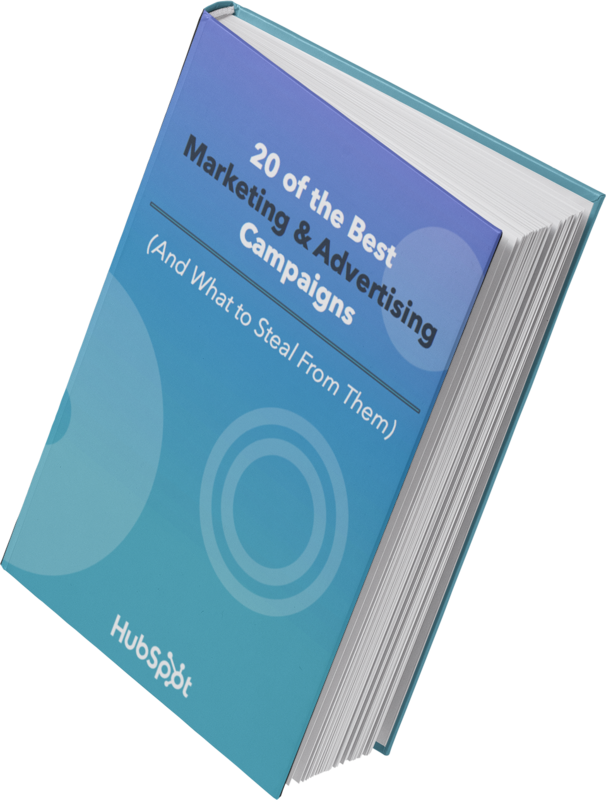 Next, let’s take a look at some of the most memorable ad campaigns, a few of which put these best practices in action. 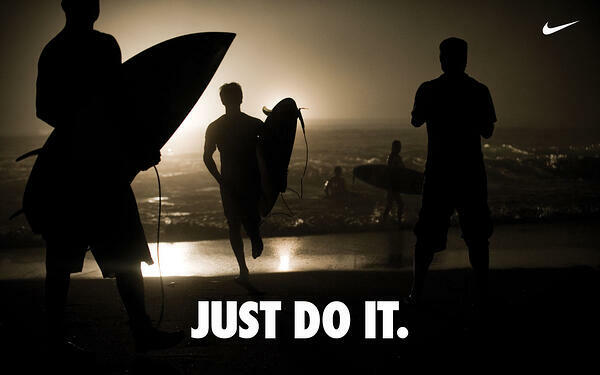 In the late 1980s, Nike launched their “Just Do It” campaign. At the time, Reebok was outselling Nike, and Nike needed to act fast to compete against the sneaker conglomerate. But it wasn’t just the three-word phrase that earned global attention. Their new ad campaign also focused on real people wearing and working out in their products, as opposed to simply featuring clothes and sneakers themselves. This powerful combination of people plus product helped Nike go from $800 million in 1988 to $9.2 billion just 10 years later. Did you know Absolut’s “Bottles in the Wild” ad series is the longest uninterrupted campaign in history? 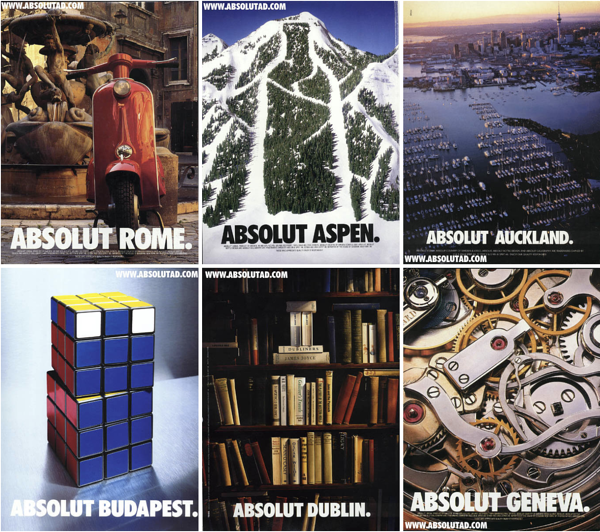 The campaign was Absolut’s attempt to grow their name internationally, especially throughout the United States. It featured the Absolut bottle in different cities and countries worldwide. It launched in 1985 and ran until 2000 — lasting an impressive 25 years. Absolut’s campaign helped grow the company from a tiny slice of the vodka market share (2.5%) to over half the U.S. imported market share. To this day, the Absolut brand is the fourth largest spirit company, thanks to their focus on the overall story, not just the product itself. 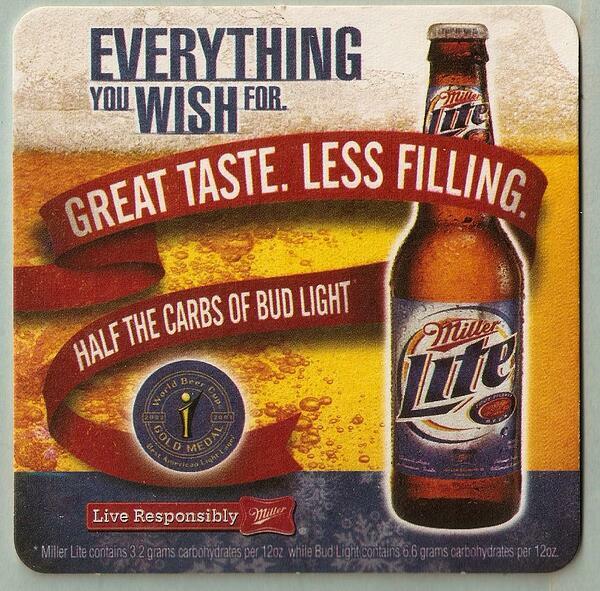 The folks at Miller Lite used differentiation to reach their goal: to get “real men” to willingly drink light beers. With their “Great Taste, Less Filling” campaign, they maintained a leading position in the light beer market for several decades after this first campaign aired. 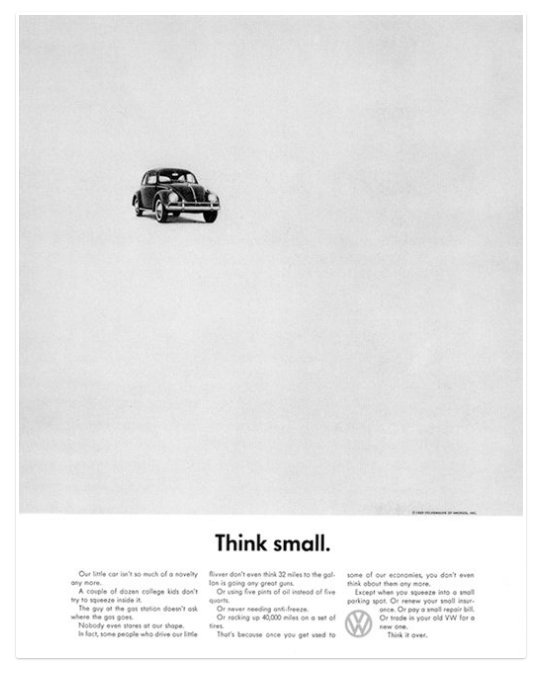 Though Volkswagen has officially discontinued its production of Beetles, its iconic “Think Small” campaign will be forever ingrained in advertising history. Doyle Dane & Bernbach (DDB) advertising agency knew it had to change the mind of consumers if it wanted to compete with industry leaders. So, VW admitted that though the Beetle was, in fact, tiny, it was still a force to be reckoned with and worth a purchase. Authenticity and honesty went a long way in this seemingly small campaign. 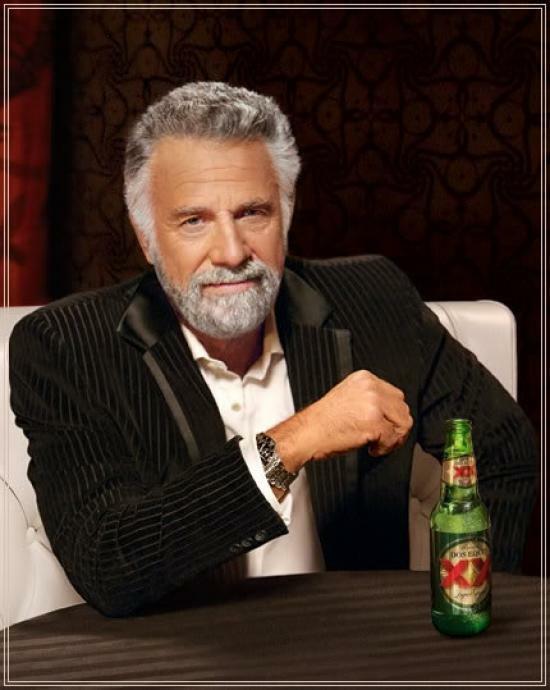 With its edgy, cool, and sophisticated aesthetic, it’s no surprise “The Most Interesting Man in the World” campaign put Dos Equis on the map. This campaign created a positive association between the Dos Equis beer and the feeling of sophistication and poise. 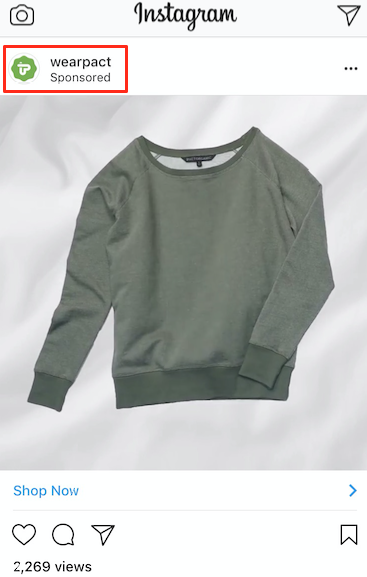 Sales quickly jumped by 22% after the campaign launched. Even more impressive was how Dos Equis found success in a time when craft beers grabbed a foothold in the market and imported beer took a 4% hit. This campaign was major component of that success. To learn how to grab the attention of your audience, learn from the professionals. These campaigns are a great example of how brands have used real stories, real people, and real talk to grow their businesses. Equipped with a dense, dynamic history, advertising is an incredible tool to add to your marketing tool box. Between print ads, radio sponsorship, TV commercials, and social media promotion, the opportunities to advertise and promote your brand are endless. To best connect and engage with your audience, speak your customer’s language, appeal to their emotions, and tap into their desire to be a part of a community, create a clear and authentic brand story to illustrate how your brand aligns with their values. By applying these tried and true practices to your advertising, you’ll build a magnetic brand that attracts customers, establishes a following, and generates revenue. Do this and your brand will grow into a household name that stands the test of time — just like advertising itself.